The captain of Northamptonshire County Cricket took time out from the squad’s successful start of the season to tour one of the county’s most established businesses – Barker Shoes in Station Road, Earls Barton. 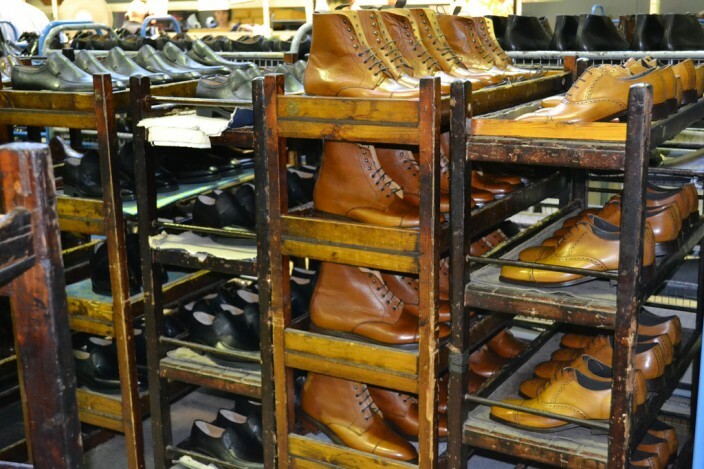 Barker have been making shoes in the village since 1880 and still use traditional shoemaking methods, which were demonstrated to Mr Peters during his tour. Further photos of Steve’s guided tour around the factory taken by Matt Edwards can be found here courtesy of the Northampton Chronicle and Echo.